Dixons Store Group (DSG) will initially be the only UK stockist of Slingbox - a video distribution system that lets you watch on a PC a household's satellite or cable TV programmes and turns the whole idea of video over the internet on its head. That's because Slingbox - already well-established in the USA and Canada - also allows you to watch these programmes not just on PCs at home but also anywhere else in the world there's a decent internet connection. 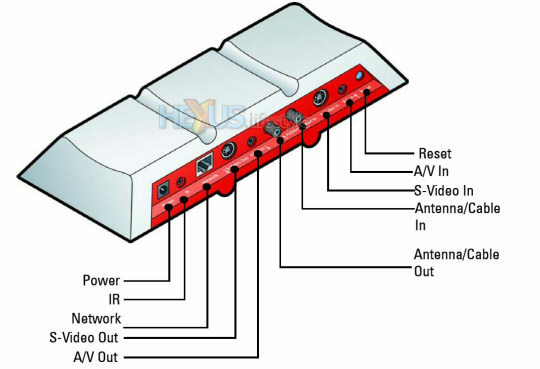 Software supplied with the £180 box is said to be able to control a wide range of Freeview, digital cable and satellite set top boxes - including those from Sky, Homechoice, NTL and Telewest - and also programmes coming in via the Slingbox's own built-in analogue and digital terrestrial TV tuners. Sling Media has developed new software for use with the UK version of Slingbox - Slingplayer PC V1.1. This is said to support 16:9 widescreen video, offer enhanced favourite-channels organisation features and allow users to adjust the look and feel of the interface and virtual remote handset with pre-installed or self-created skins. 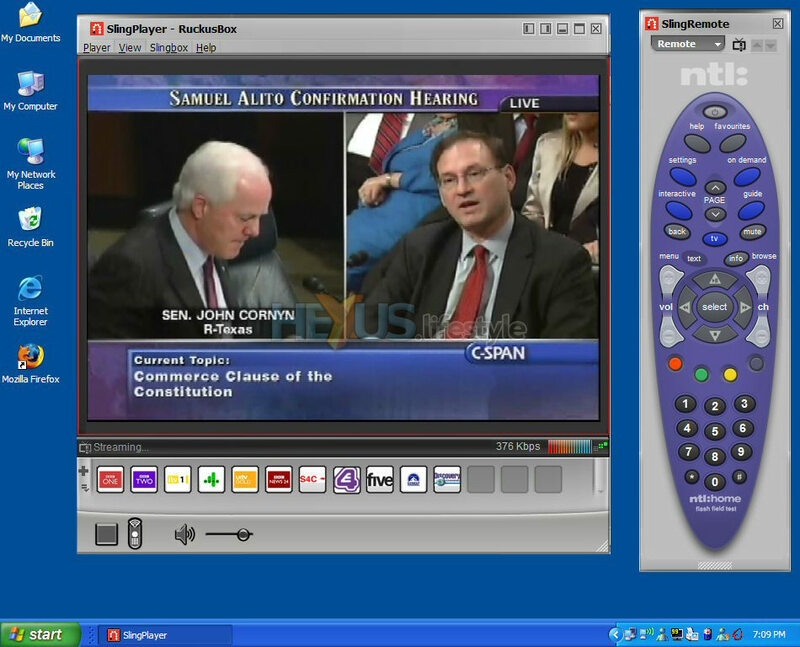 The program runs full-screen or in a window and can be docked to the left or right of Windows' desktop. Slingbox measures 269(w) x 46.4(h) x 102(d)mm - (10.0x1.6x4.0in) and weighs 680g (1.5lb). It's available now from PC World stores and online and will move into Currys and Currys.digital - the new name for Dixons - over the next month or so. It's not yet clear how long DSG will retain its sole UK rights but we'll let you know as soon as we find out, likewise availability for the rest of the EU since the UK is seen by the company as a stepping stone into Europe. The launch of the Slingbox into the UK market and ultimately to the European consumer is a significant milestone for Sling Media as we continue to build a worldwide footprint and deliver the same customer experience internationally that we do today for customers in the United States and Canada. We are also excited about the timing of the launch with the World Cup. When the game is on, England fans with a Slingbox can watch the home team from no matter where they are: halfway around the world, stuck at work or simply around the home. All looks rather tasty, don't you think? Let us know your views over in the HEXUS.community. Naturally, we'd especially welcome comments from folk based in N America who've had hands on already. Oh, and now that you can actually read the piece, I kind of suspect you'll find it even more interesting! Shout if you've got any questions, cos I think I've now pretty well got my head around how it all hangs together (and I've downloaded most of the manuals, too). And, all you Slingbox users in N America - please don't forget to let us have your informed input! Never payed much attention to these before now, because they were US/Canada only. They do seem to have a decent following on the likes on Engadget though. So you can stream anything connected to it to other devices. What about ‘streaming’ (or recording if you like ;) ) it to disk? 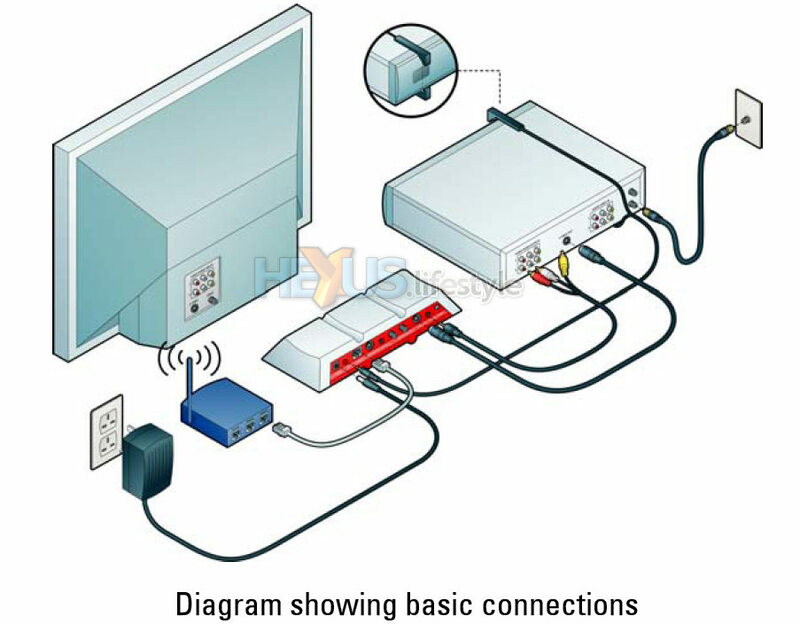 As it is network connected anyway, can it pull files off a PC or NAS box for playback/display? Let me get this right - you're saying that mythtv lets YOU take whatever's coming into a Sky box, a NTL box and other such boxes and network that around the house and send it out over the internet, too, if you want to watch stuff while you're away from home?